Tuckwell Chase Lottery Scratch Cards give you the chance to win up to £1000 and a chance to win a further £100 in a second game. Just scratch off the panels to reveal! 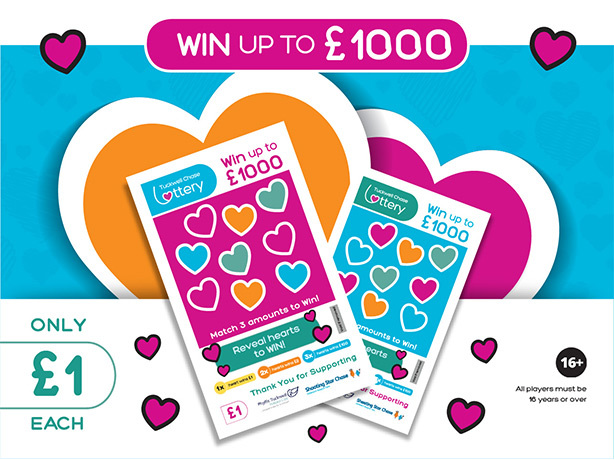 Scratch cards cost £1 each and they are a great way to support local hospice care. You can purchase scratch cards online and we will send them directly to your door. You can always visit our office or contact us to find many retail outlets in the local area that stock our scratch cards. Why not use them for . . .